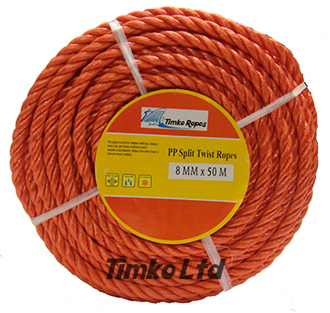 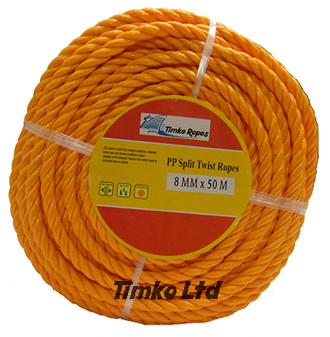 Coloured split film 3-strand twisted polypropylene rope sold in handy sized mini coils. 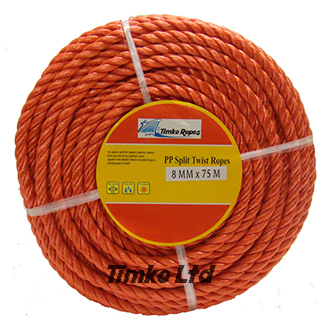 We sell these in 6mm, 8mm, 10mm, 12mm, 16mm, 18mm & 20mm diameter or Thickness. 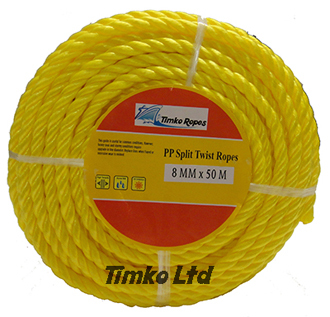 We do these in orange, yellow, white & red. 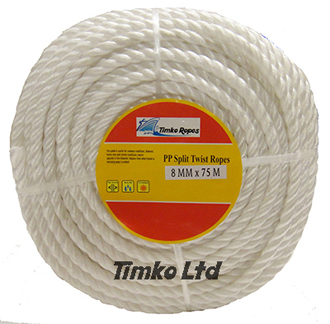 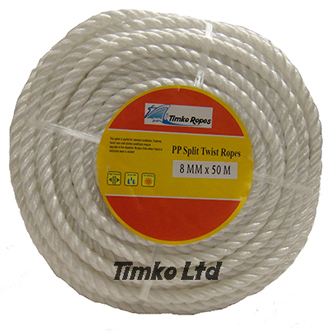 8mm white polypropylene 3-strand twisted rope supplied in a 50m handy mini coil. 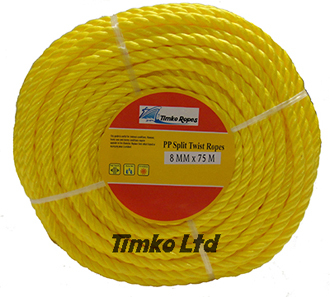 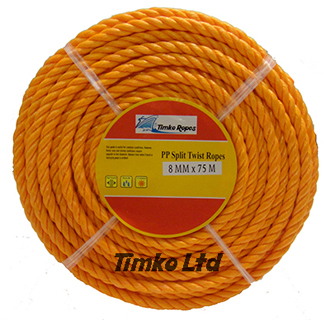 8mm yellow polypropylene 3-strand twisted rope supplied in a 50m handy mini coil.